Nigerian rapper Babalola Falemi better known as Sinzu or Sauce Kid who just got out from prison after serving his time. After his discharge the rapper has been trying to get back his music career back to track. The Singer was presently signed to one of Nigeria’s hottest record label DMW. The singer has accepted his first official interview after leaving prision. The singer talks to Notjustok about his life behinds bars and how he was able to survived & what he’s got on his plate. 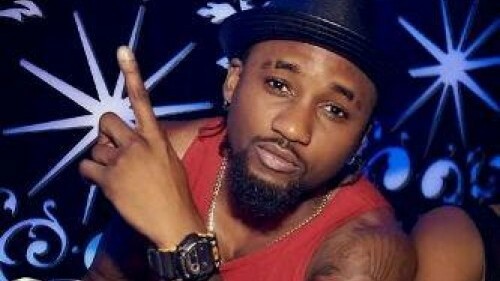 During his interview, Sinzu confirmed that Nigerian music has received a broad range because while in prision he was able to access Nigerian music. The rapper acknowledged that he spent all his prison allowance of $16 on buying new music. He confessed that majority have changed about our music particularly Afrobeats. Again, Sinzu specified one major positive achievement about his time in prision is that he has all the time to write new songs. He reveal that he able to write over 300 songs during his 20 months jail period. He also said he could put out 5 mixtapes ‘now’ if he wanted to. Still speaking he mentioned that he appreciates ‘new artiste’ such as Ycee & Falz. And about Falz Sinzu disclosed that he already has a song with the comic rapper, and even more is on the way.